The biggest hint yet that BMW is preparing to launch a new F900XR sports-tourer came at the recent Villa d’Este event in Italy, when it unveiled the rakish BMW Concept 9cento, which could become a smaller brother to the S1000XR. The name is a take on the Italian for “nine hundred”, a clear indication that its engine is based on the all-new parallel twin that powers the F850GS and F750GS. 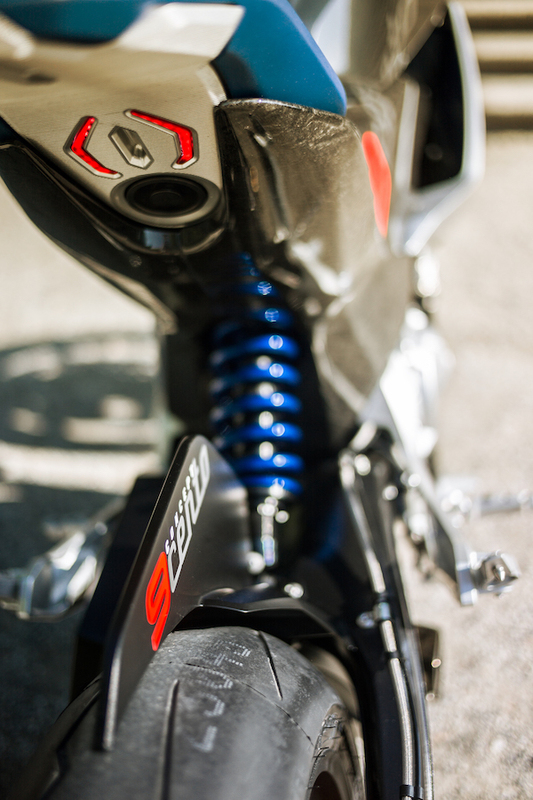 The sleek concept uses several major chassis components first seen on the F850GS. But new aluminium rear frame sections provide the swingarm mountings, and the seat subframe is new. BMW has cleverly reinforced the chassis with a carbon-fibre centre body section that increases strength and rigidity. 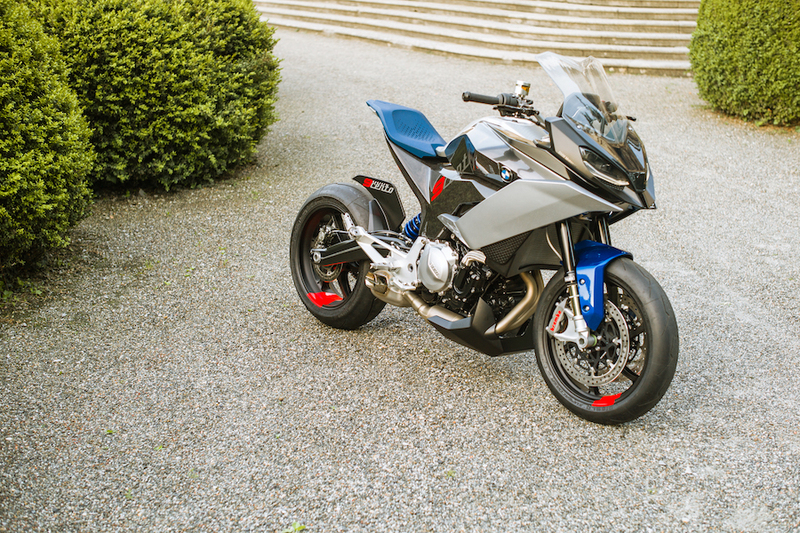 While the concept bike has high-end Öhlins suspension, that will likely be downgraded to contain costs. 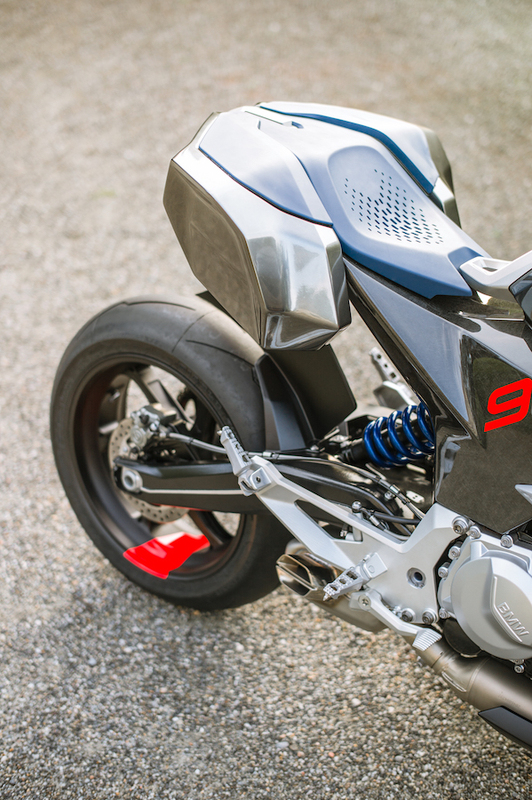 Unsurprisingly, since the 9cento is an attention-grabbing concept bike, the styling provides the main talking point. The minimalist rear end is controversial. For a bike positioned as a sports-tourer, even if it is just a concept, the pillion provision is virtually non-existent. 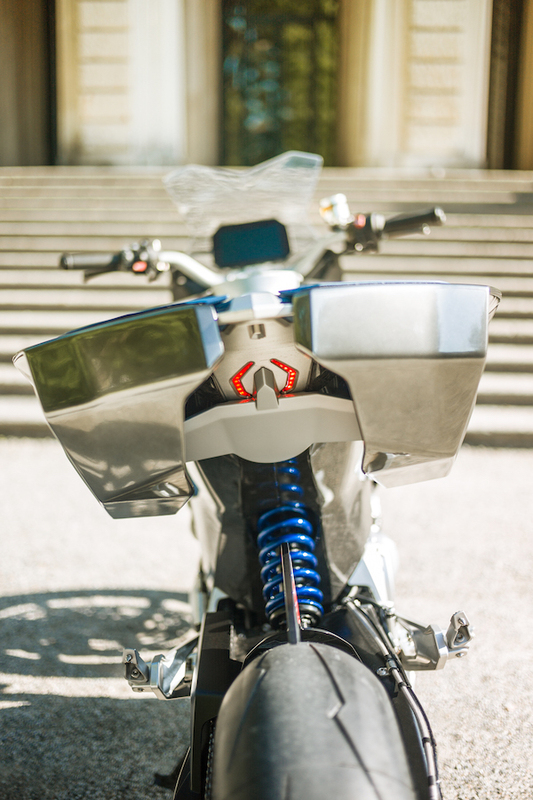 However, a quick-release one-piece pannier unit attaches via electromagnets and incorporates an additional pillion seat segment. The front is more likely to reach production unaltered. 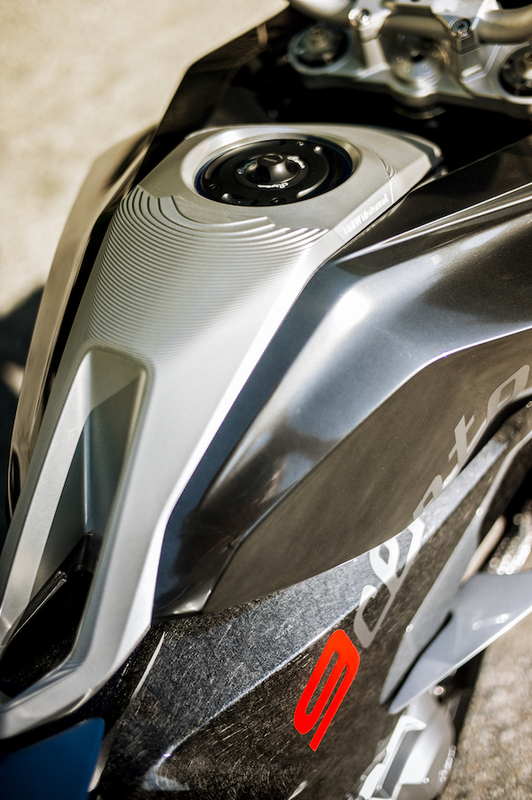 Similar to the S1000XR, styling combines a sharp-edged shape with wide ’bars and a touring-style screen. There’s just a hint of a GS-style beak too, again mimicking the S1000XR. In 2014 BMW rolled out the Concept Roadster at the concours that previewed the R1200R. In 2015 it was the Concept 101 bagger, which became the K1600B. In 2016 BMW brought the R5 Hommage – a cheeky, supercharged reworking of the 1936 BMW R5. That’s not headed for production, but note that BMW didn’t call it a concept either. Described as ‘Hollywood on the lake’, the Concorso d’Eleganza Villa d’Este on the shores of Lake Como in norhtern Italy is regarded as the world’s most exclusive showcase for cars and motorcycles. As well as historic designs, major companies show off their latest concepts. BMW design chief Edgar Heinrich and American customiser Roland Sands received a standing ovation in 2013 when they rocked up on their Concept Ninety, a homage to the iconic BMW R90S that went into production as the R NineT.